Nokia, a famous name, a company that was one of the best and most known. Not only did they create the world-renowned Nokia 3310, they also had their own open source mobile operating system based on GNU / Linux, and had helped to create many cellular network standards we use every day. 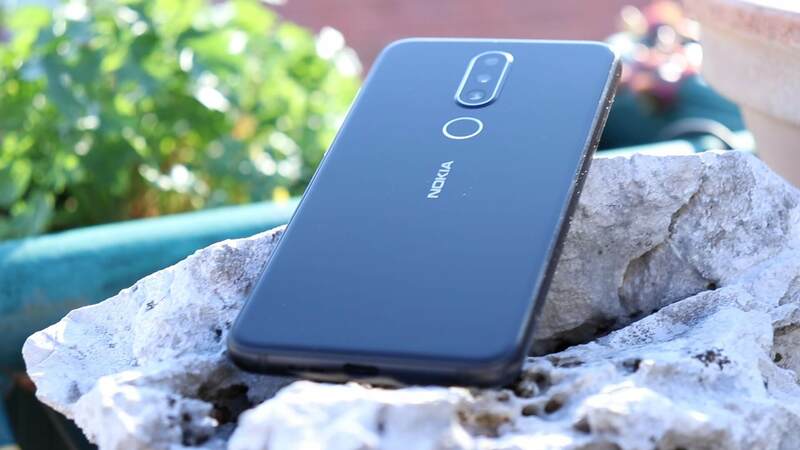 The X6 or 6.1 Plus is currently Nokia’s most popular smartphone that has recently emerged in the middle of this year with a very nice set of features and specs. 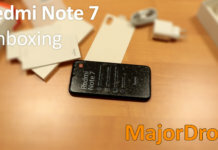 It packs a Snapdragon 636 chipset with 4GB of RAM and 64GB of internal flash memory. There is also a dual camera setup, a fingerprint reader and a pretty stock Android OS! 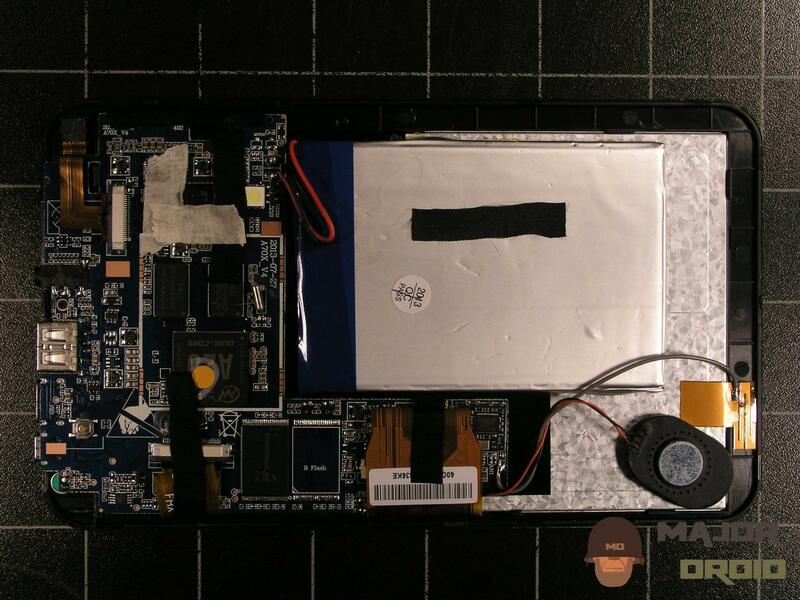 It’s about time we take a look at this phone more closely, starting with its build. Based on the photos of this phone, the back of it looks like the most common plastic, but the reality is very different. The whole thing feels very heavy in hand, and the glass back really helps it. 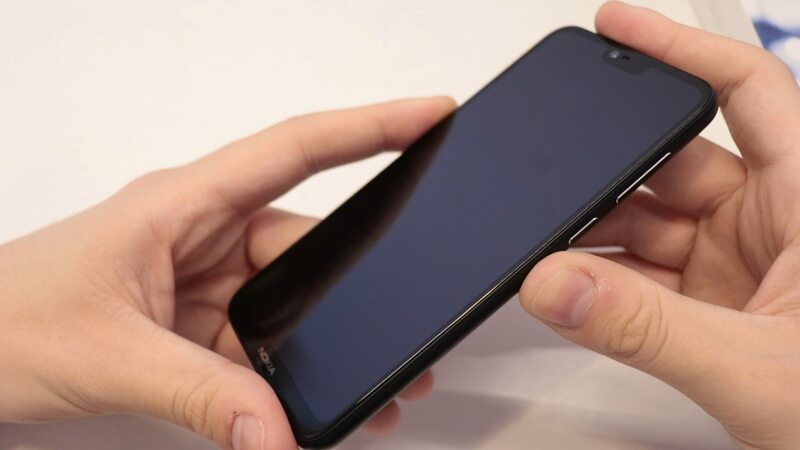 Because of the oleophobic layer on both sides, fingerprints stop being such a problem, and the back retains its dark and deep black appearance. The edges of the screen are also very rounded, and the notch on the top only pushes that style further. The buttons look nice but unfortunately have a fairly short travel and feel really shallow on click. On the back we have a dual camera setup with a three-tone flash and a fingerprint reader that’s almost perfectly flush with the phone’s back – all bordered with chrome edges. 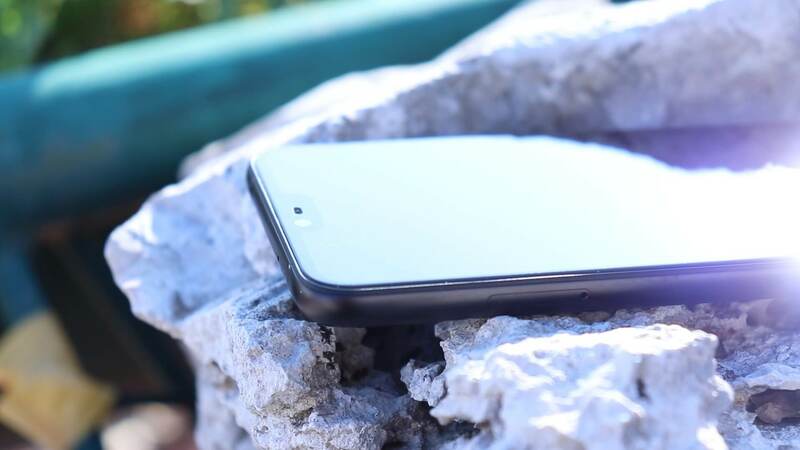 The glass design of this phone surely increases its chances of cracks, but the glass panels are hard and the edge is made of aluminum, which protects against many usual drop scenarios. 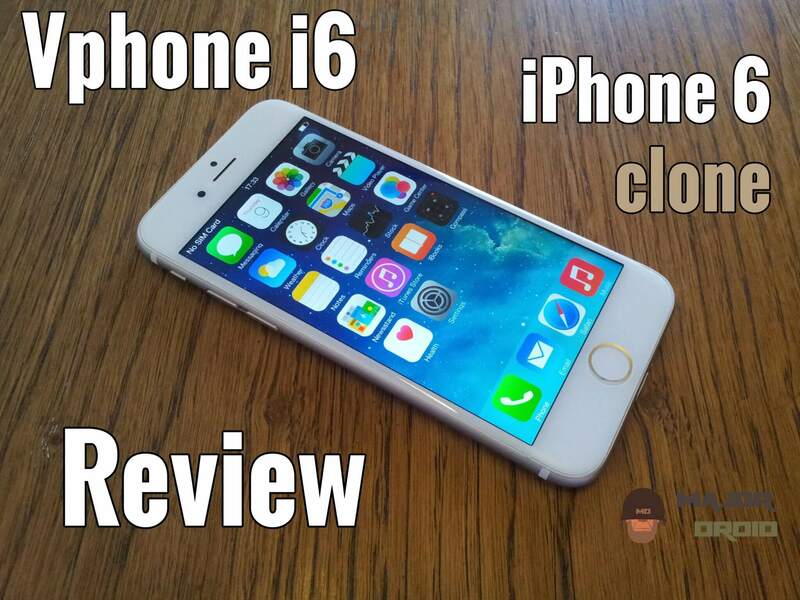 When it comes to the operating system on this phone, the situation is great! As I’ve mentioned, this phone is running Android One. What’s Android One? It’s a program that has been launched by Google in order to reduce the fragmentation of their operating system. Because of this, the system on this cell phone is very light, with virtually zero bloat applications and frequent OTA upgrades. The only additional applications you receive are part of the Google Apps package, and can be disabled. 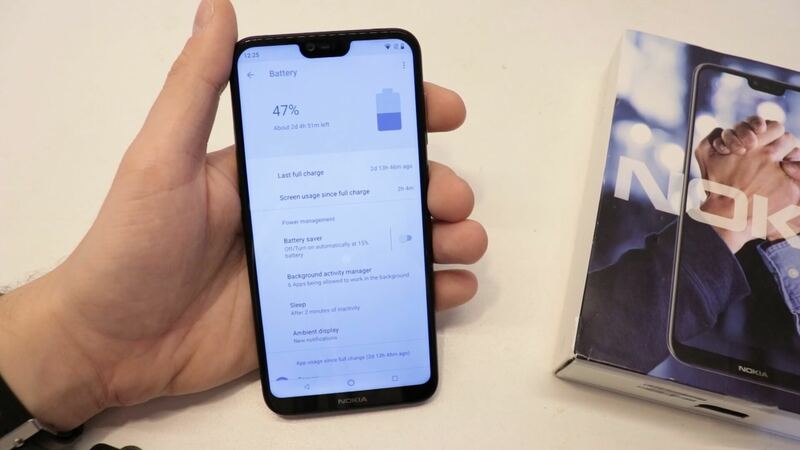 Notch support is not that impressive; imagine you stick some black tape in the middle of your status bar. Bam, you got the notch on this phone. 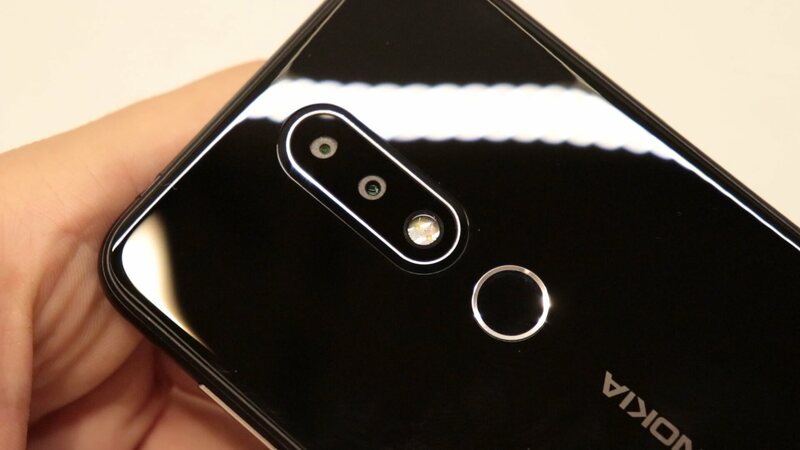 Applications do not even try to use the aesthetic potential of this notch and it’s completely useless in most cases. Even in applications like gallery and Youtube, the content does not go around the notch but has a sudden black limit on top. Since this is practically stock android, there aren’t many additional functions, if any. In front of you is a platform where you get to build the required functionality by downloading applications which you need yourself. 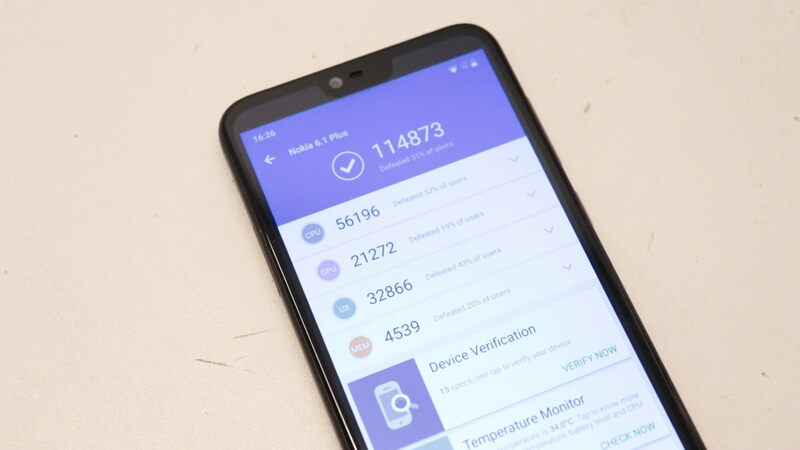 With its 64-bit octa-core Snapdragon 636 processor running at 1.8GHz, this device receives 114873 points on the Antutu benchmark. GeekBench gives it 1332 for single core test and 4864 for multi core test. The Renderscript test within GeekBench gives a score of 4497 points. Numbers usually only tell half of the story, but how is this cell phone in normal, day to day use? As expected, it does not have much trouble with 2D performance in apps and Android interface in general. Microstutters are a thing here and there, but within rational limits. Surfing the Internet and using applications is fast and without any problems. Performance in demanding graphics games like PUBG Mobile is not perfect, but the game is still very playable, even at the highest options I could set. Less demanding games do not have any performance problems, though. This is a highly energy-saving chip, but it’s still a lot stronger than the well-known Snapdragon 625. 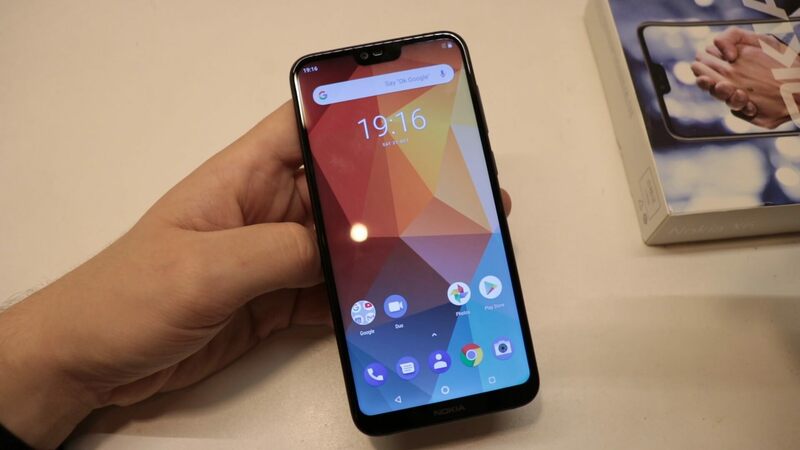 Here, X6 presents a classic IPS LCD panel with a not-so-classic aspect ratio, and the same can be said for this notch at the top. 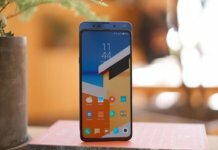 The screen has a ratio of 19:9 and therefore it feels rather small in hand despite its diagonal size of a whopping 5.8″! The FHD+ screen of this ratio has a resolution of 1080×2280, which is more than sufficient considering its size. Since this screen is IPS, color and contrast are pretty moderate and comfortable even though they cannot reach the absurd results that OLED panels reach these days. 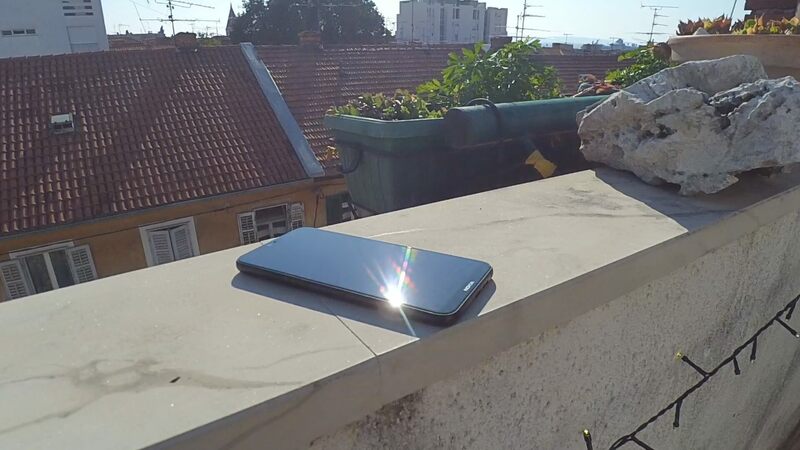 Again, the minimum brightness gets very dark and the maximum is fairly bright; you should not have any problems with using it during the day. Of course, there’s a configuration with two cameras on the back. We have a 16MP + 5MP configuration where one camera is the main one and the other serves to detect the depth. On the front we have a 16MP camera with f/2.0 aperture, just like the main camera. All these cameras do not break any expectations. The reproduction of images under various conditions is actually good, but the problem is it’s very limited application which doesn’t even have a proper Manual mode! It does have some cutesy effects, though. The night will cause noise, but within rational levels – just do not expect all the photos from that party last night to turn out perfectly clean and bright. As far as video is concerned, the X6 can shoot up to 30fps in 2K resolution. For mobile, that’s more than enough. It also supports electronic image stabilization with the help of a gyroscope, but even though the stabilization is excellent, you can see that it’s electronically stabilized. The audio output of this cell phone is not that spectacular. 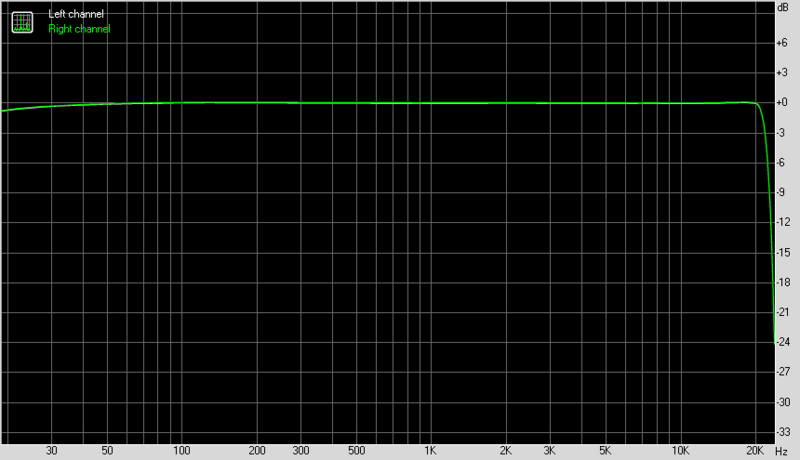 Although the frequency response is very flat, the THD is higher than usual and there’s some stereo crosstalk. With all that, there is also a weak amplifier. For earbuds this should not be a problem, but whoever plans to use some proper cans with this phone will probably not have the best results. The sound was very quiet on my 55Ω AKG cans. 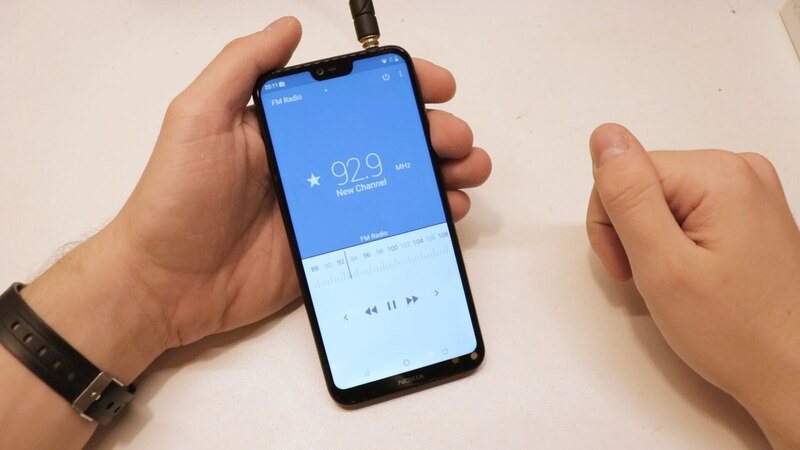 Fortunately, the 3.5 mm headphone jack looks good and the connector will retain a good contact with your headphones. The speaker, on the other hand, has a very clear and pretty loud sound! Deep sounds do not resonate too much through the chassis as they should, but that’s nitpicking. Distortion is in average levels which is nice to see. You’ll hear the your ringtone perfectly and it can even be used for music when you just forgot to take that Bluetooth speaker. This cell phone has a 3060mAh battery which is quite the fair number for such a mid-ranger. With the chipset that this cell phone has, you should easily get a full day of proper use. I played Smash Hit for 10 minutes and in those 10 minutes the battery has been depleted by 2%. In the Lab501 battery benchmark application, I launched the most demanding “Gaming” test in which the battery fell by only 3% during 10 minutes of testing at maximum brightness. By these numbers you should be able to play games for about 7 hours if you recharge the battery before. Pretty satisfactory results and it’s not strange to see that since this is a pretty efficient 14nm chipset! When it comes to additional functions, there’s a fingerprint reader and an FM radio receiver. As I’ve said, the fingerprint reader is practically completely flush with the rest of the back so sometimes it’s a bit of a problem to find it, but thankfully it’s pretty fast! Even when my finger was wet or dusty, the reader could identify the fingerprint and unlock the cell phone. FM reception is average but the application is great, with advanced support for RDS, named lists and FM Stereo. The GPS is also not too fast since it takes about half a minute to get my location. In the first few days of use, this phone did not impress me. It does everything good, but never great. Again, this is one of the few mobile phones that are a part of the Android One program and this is one of its most important features. After all, I realized that this was a mid-range phone and that it was pretty good deal for about $180. 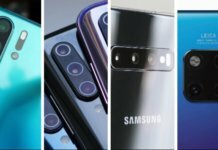 There are many modern things like the notch, double cameras and a new efficient chipset from Qualcomm. Looking at all of this, I congratulate Nokia on another proper smartphone – Good to see you back, old friend. Next articleA special day: Big sale up until 11.11 on GeekBuying!